Get notified when Chicago Fire tickets are available! The Chicago Fire Soccer Team is a professional American soccer team that is based out of a Chicago suburb. This soccer team is part of Major League Soccer and has been named after the Great Chicago Fire in the year 1871. Since their founding in 1997, they have won the MLS Cup along with the US Open Cup on their very first season. After that, they took home US Open Cup titles in 2000, 2003 and 2006. 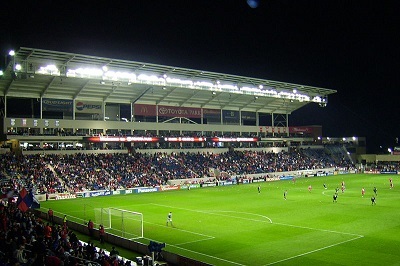 If attending a Chicago Fire soccer game sounds thrilling to you, you can use the links above to find Chicago Fire tickets and game dates.